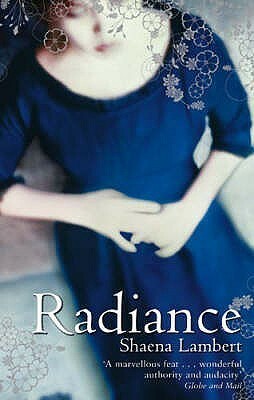 Shaena Lambert’s Radiance is a book from back in 2007, and I think I probably bought it on the recommendation of the late Kevin from Canada, a friend and blogger sorely missed. It’s a thought-provoking novel, the kind I really like. The novel traces the story of Keiko, a ‘Hiroshima Maiden’ and her ‘house mother’ Daisy Lawrence, but it’s also a devastating exposé of the way ordinary people are used to serve political purposes, no matter the pain it causes. The Hiroshima Maidens were, in real life, Japanese girls with facial disfigurements caused by the atom bomb, who were brought to America for facial surgery to restore their appearance. Keiko stays with Daisy and her husband Walter, an ‘all-American family’ living in the quiet anonymity of the suburbs – while the Hiroshima Project committee organises the speaking tour that Keiko will undertake after her surgery as a poster girl for the nuclear disarmament movement. This is the period between the atom bomb and the hydrogen bomb and also the era of the Cold War: peace activists were urging an international ban on the development of nuclear weapons. But as Daisy soon finds out, Keiko’s calm, polite mask conceals a young woman too traumatised by survivor guilt to share the ambiguous truth of her memories. Radiance is also a novel about national guilt. As Richard Flanagan recently pointed out in a documentary called Life After Death (which you can maybe still see on ABC iView), more people died building the infamous Burma Railway than at Hiroshima. So it is instructive to see how different nations deal with guilt arising from acts of war. It seems to me that Japan has felt very little of it and for all its wealth has done little to atone for what they did throughout Southeast Asia in WW2. It also seems to me that the Coalition of the Willing (Australia included) has turned a blind eye to the human cost of its enterprise in the Middle East and the chaos it unleashed. It is ironic that Germany, the pariah nation of the 20th century, is in the 21st century a model for compassion with its welcome to the Syrian refugees. But the devastation at Hiroshima aroused an uneasy sense of guilt in America and so the idea was born to ‘rescue’ the girls from their fate as unmarriageable women who must be hidden away. (As this article shows, it was a project fraught with contradictions, yet we still see occasional examples of disabled war victims ‘rescued’ from their fate, though these days it is mostly children that we see paraded in the media.) Lambert deftly shows the emptiness of life for childless Daisy in the fecund suburbs of postwar America, and late in the book we see the beginnings of McCarthyism and the Second Red Scare. But we also see the tragedy of a neighbour suffering what we now call postwar PTSD having to confront ‘the enemy’ in his own neighbourhood, and the residents’ fear that radiation sickness might be contagious. Ignorant, yes, but what else would they be, at that time and in that place? These ambiguities show the moral complexities of the situation. The story is told from Daisy’s point-of-view by a well-disposed narrator who sees into her anxious heart. Her yearning to mother Keiko is contrasted with the diffidence of the committee that wants to use the young woman for their own ends, noble though those aims might be. Daisy struggles to understand Keiko’s small betrayals (stealing things from the houses she visits) but she is also disconcerted by her own jealousy about her husband Walter’s easier relationship with Keiko. She doesn’t know how to handle her friend Irene once she realises that Irene’s determination to use Keiko is going to rupture their friendship. And the characterisation of the affection that binds Daisy and Walter’s marriage is superb: intense, troubled Daisy repressing herself because that is what’s expected, and Walter, offhand and cynical, fond but vaguely paternal. Shaena Lambert has since published a collection of short stories called Oh, My Darling, but alas, no novels since this one. Japan as a nation seems very unwilling to acknowledge the crimes it committed during WWII, but then so does Australia. And the US refuses to be bound by international war crimes legislation at all. As for the ‘coalition of the willing’ acknowledging that their (our) actions in the Middle Aust over the whole C20th caused the enemy – ‘militant Islamism’ – that we now define ourselves against … Won’t happen in our lifetimes. As for the book itself, much as I distrust historical fiction, it seems this may be another case of showing how an old story can illuminate a current story/issue. Japan is notable because it has perpetuated ignorance about its WW2 behaviour through its education system, much as we used to about Australia’s Black History. (If teachers are teaching what’s in the Australian Curriculum (the version that was in place when I was still teaching two years ago) then, imperfect as it might be, no one could say that we as a nation were perpetuating the ignorance about what was done to our indigenous people. It’s there in the curriculum.) And in the rash of apologies about this and that around the globe, Japan has been conspicuously silent, and it’s certainly kept its purse tight shut when it comes to compensation for (a) our POWS (b) the ‘comfort women’ and (c) the appalling losses throughout all the places they conquered in SE Asia where everything that was done to ours was also done to theirs and more so. What’s encouraging here is that there is (depending on what you read, of course) commentary in the media about our collective responsibility for the meddling in the Middle East. And there are politicians like Andrew Wilkie who have something to day. There’s not the culture of shame which represses criticism; it’s more IMO the short attention span of the media. This sounds fascinating and I’ve put it on my wish list. I’ve just reserved 50 Years of Silence (about Japanese comfort women) as I would like to read that first. Sounds like they would be good companion reads.